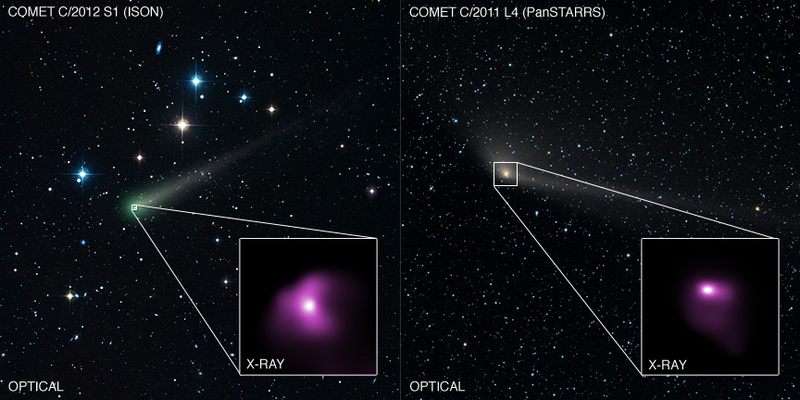 Chandra observed Comet ISON and Comet PanSTARRS when these comets were relatively close to the Earth. 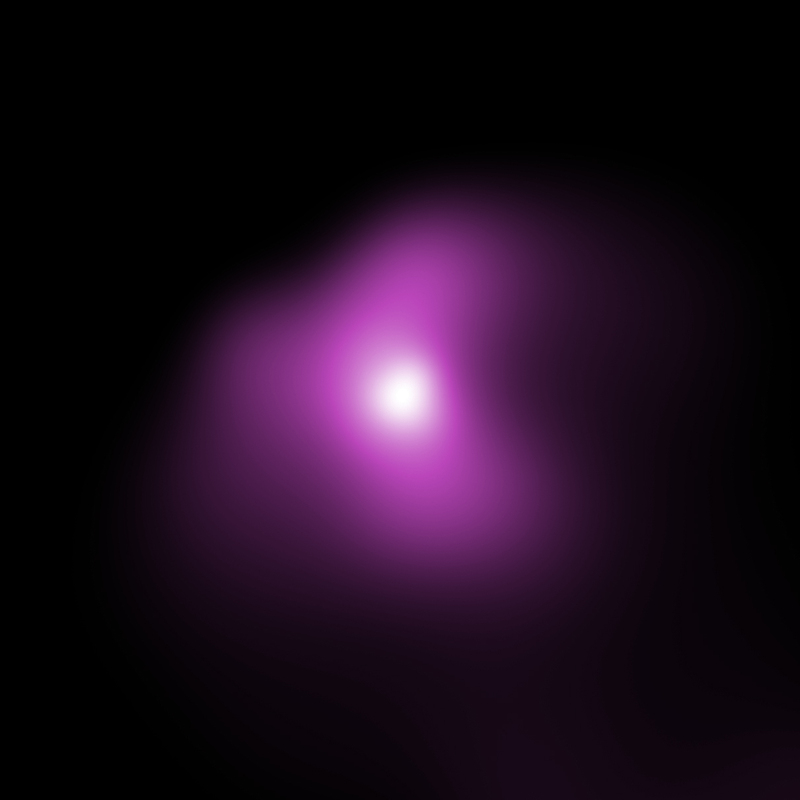 The X-ray emission is produced when a wind of particles from the Sun strikes the comet's atmosphere. The Chandra data was use to estimate the composition of the solar wind, finding values that agree with independent measurements. I have a theory I'd like to share. Seems comets could be a modular or multifunctional object. Mostly an object that comes to the sun to gather energy and transport it back to its origin. 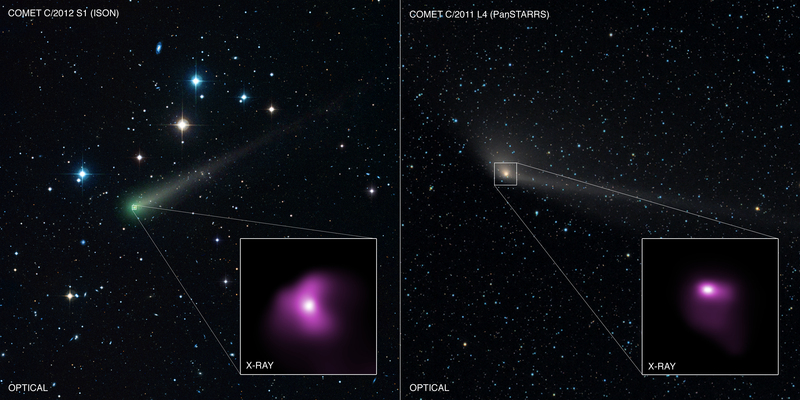 I wonder what is the origin of the different comets. Seems the sun reacts to sun grazers. Not sure if the flare is a protective reaction or a mechanism that charges the comets. considering that it sometimes kills the comet, it is either a defensive feature or the comet was at the end of its usefulness. I have always loved science physics and space. Thank you for sharing informative pictures.